Quinoa, local salmon and kale are just a few of my favorite foods. That’s why I’m giving you quick and healthy recipes that you can enjoy throughout the autumn season. All recipes have been modified courtesy of Clean Eating Magazine. About the only thing I love more than quinoa are simple, quick and healthy recipes featuring quinoa!. 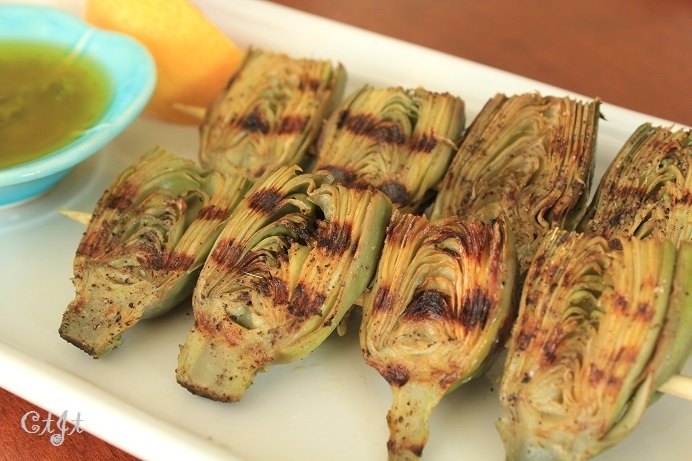 This recipe is so delicious and easy to make that even your kids can help you prepare it. In a saucepan, bring 4 cups of water to a boil. Add the quinoa, cover and reduce to a simmer. Cook for about 12-15 minutes until the water is absorbed. Make sure to let it cool. At the same time, prepare the dressing. Using a small bowl, whisk Sigona’s Fresh Press Extra Virgin Olive Oil, lime juice, cumin and red pepper flakes until combined. Set aside. In a large bowl, combine the corn, beans, bell peppers, jalapeño and fresh. cilantro. Add in your quinoa and stir. Top with dressing and season with salt and black pepper. Mix well and enjoy cold and/or at room temperature. Our local salmon season will soon be coming to an end, so make sure to stock up today to enjoy this delicious foil-baked recipe that’s super easy to prepare and even easier to enjoy. Cut 2 14-inch squares of foil; lightly coat the salmon with the olive oil and season with salt and pepper. 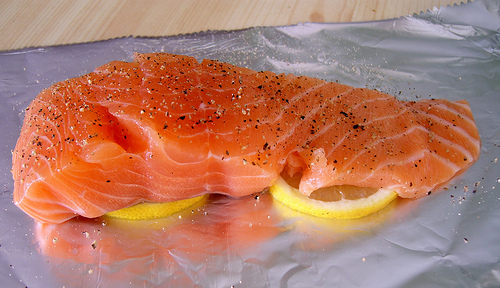 Place 1 piece of salmon on each piece of foil. In a medium bowl, combine garlic, organic Sun Gold tomatoes, zucchini, chickpeas, onion and lemon juice. Spoon mixture over salmon, dividing evenly. Bring all sides together over the top of salmon and fold over to form a sealed packet. Transfer the packets to your baking sheet and bake for 15 minutes. Remove from the oven and let stand for 5 minutes before opening. To serve, sprinkle with feta cheese and basil. With a paper towel, lightly cover the inside of ceramic 9 x 13-inch baking dish with Sigona’s Arbequina Olive Oil. In a blender, blend garlic, vinegar, orange juice, lime juice, soy sauce, honey, ginger and sesame oil until smooth, about 1 minute. Remove ¼ cup mixture and pour over top of tofu. Toss to combine and spread evenly in dish. Bake, turning 3 to 4 times, until golden and crisp, 25 to 30 minutes. Meanwhile, to the remaining mixture in blender, add flaxseeds and process until smooth. In a large bowl, add kale and pour the vinegar-flaxseed mixture over top. With your hands, massage kale to coat thoroughly until wilted, 3 to 4 minutes. Add cucumbers, carrots, scallions, bell pepper, cabbage and edamame and toss to combine. To serve, top with sesame seeds.